A graduate of Roosevelt University Chicago and Argosy University Graduate School, Dr. Anne-Marie Kane, EdD, LPC, LCPC, has over 16 years of experience working in the field of community and clinical mental health counseling. Dr. Kane enjoys working with a variety of clients, including children, adolescents, adults, and couples to help resolve a wide variety of issues and life challenges. Dr. Kane views counseling as a collaborative process, and creates a warm, welcoming, safe space for clients to explore and resolve difficult life challenges. Dr. Kane’s approach to client care is open, culturally relevant and holistic, ensuring clients experience their care as whole-person focused, and believes the best therapeutic relationships are built on a foundation of authentic trust & comfort. Her therapeutic style is positive and collaborative, integrating elements of Cognitive Behavioral Therapy, psychodynamic, and brief/solution-focused therapies in her work with clients. Dr. Kane enjoys working with clients with mood disorders such as depression and anxiety, self-esteem issues, career choices and transitions, relationship challenges, marital and premarital counseling, parenting, adoption and infertility, issues related to gender identity and sexual orientation, women’s issues and life transitions, and health and wellness. 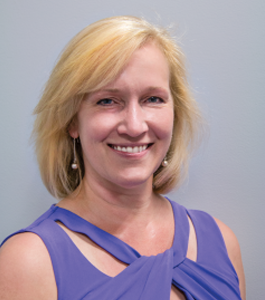 Currently working in private practice settings in Illinois and Wisconsin, Dr. Kane is Adjunct Faculty in the Clinical Mental Health Counseling graduate program at Argosy University Schaumburg, and is a member of the Illinois Counseling Association and the American Counseling Association. Prior to your Appointment…When you have arranged for an appointment you will be asked to complete several intake forms. You may download them from below, pick them up at the office in advance, or request that we mail them to you. Please fill out all of the forms below prior to your appointment.